Congrats to the Portland, Oregon team at Motoczysz (pronounced moto “sizz”) for their recent victory at the Isle of Man TT! The world’s most advanced electric motorcycle, the 2010 MotoCzysz E1pc won the TT Zero electric race by lapping the Isle of Man at a record 96.820 MPH, just shy of the 100 MPH goal the team was aiming for. 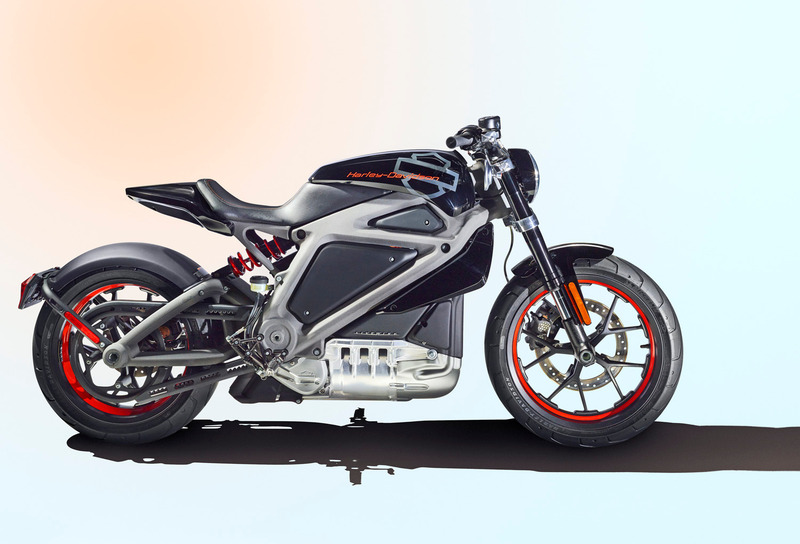 The motorcycle has five individual battery packs on each side which contain 1.25 kWh of energy apiece (10 times the battery capacity of a Toyota Prius), weigh 19.5 Lbs and can be removed and replaced in seconds. For reference the MPH lap record set by the fastest gas-powered superbikes is 131.5MPH. The Motoczysz win makes history. Not only for electric motorcycles, but it’s the first time an American-made bike has won a race at the Isle of Man since Indian debuted a two-speed gearbox in 1911 and only the second time an American rider has finished first there. Popular Science has an excellent article on the back story HERE. 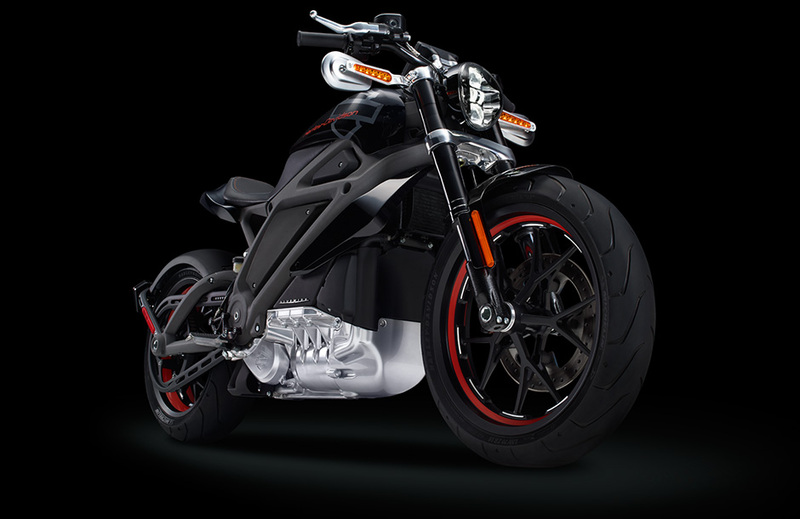 There is an incredible amount of science and technology that has gone into the design and manufacture of this electric motorcycle. 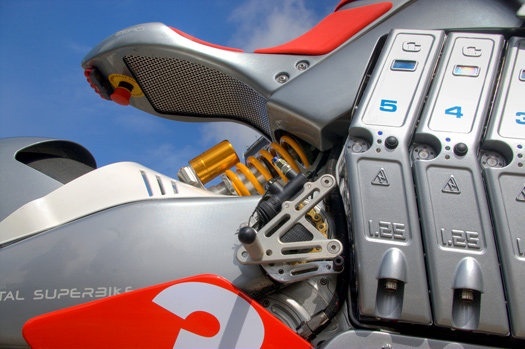 When will the ingenious inventors and garage tinkers at H-D get involved in this technology? Photo courtesy of Motoczysz and Amadeus Photography. A pocket bike is a miniature motorcycle. Often referred to as MiniGPX or “mini-moto” and first made popular as ‘pit-bikes’ for drag racers to travel around in the pits during races in the late ‘50s. 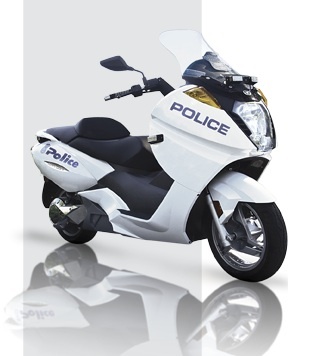 These days pocket bikes are available in both gasoline and electric versions with engine’s ranging from 40cc to 50cc. A typical mini-moto is about ¼ the size of a standard racing motorcycle and there are Pocketbike races across the country on tracks used for kart racing. There is the Northwest YSR-50 enthusiast HERE or YSR Racing HERE. 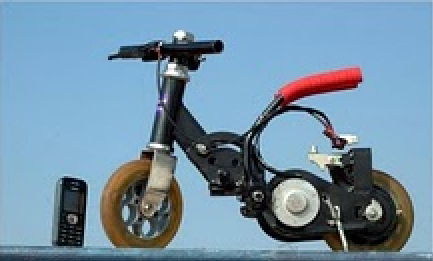 Now we have the world’s smallest electric pocket bike. Apparently the builder felt that the current generation of electric pocket bikes were just too big so they recently introduced Santosh pocket bike is literally quite small. The bike is just 12 inches high and 18 inches long. The way Santosh pulled off this compressed miracle was to make the battery pack wearable, rather than mounted on the bike which is capable of running at speeds of almost 10mph. Talk about a little guy speed junkie! Check out the video if you want to know more. Photo courtesy of Santosh bikes.